I’ve actually been a bit worried about the bees, what with all the grey weather lately. Too cool for most bees to come out. Mostly I’ve seen bumblebees lately. In the last few days, though, the nice and sunny weather is back. I think I’ve seen miner bees. I’ve definitely seen cuckoo bees. 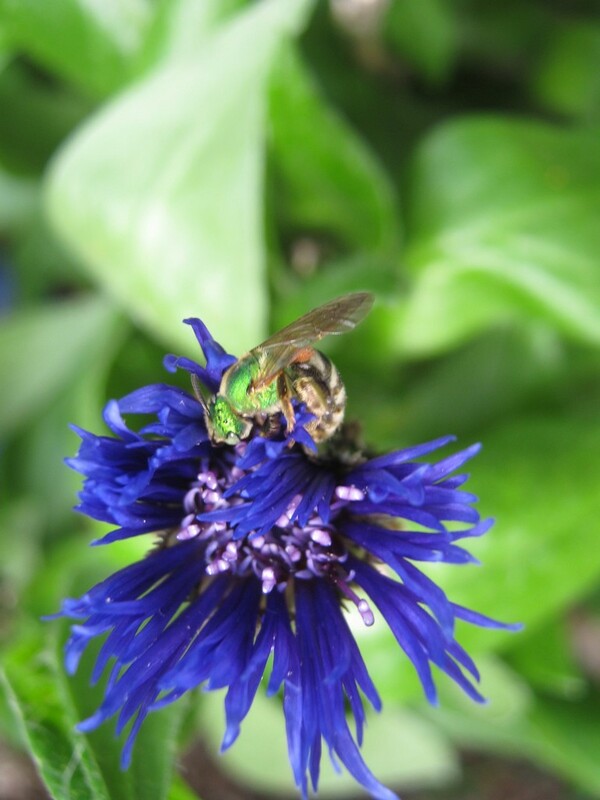 Today, I even spotted my favorite bee, the little green jewel, Agapostemon. Like the miner bees and the cuckoo bee, they nest in the ground. 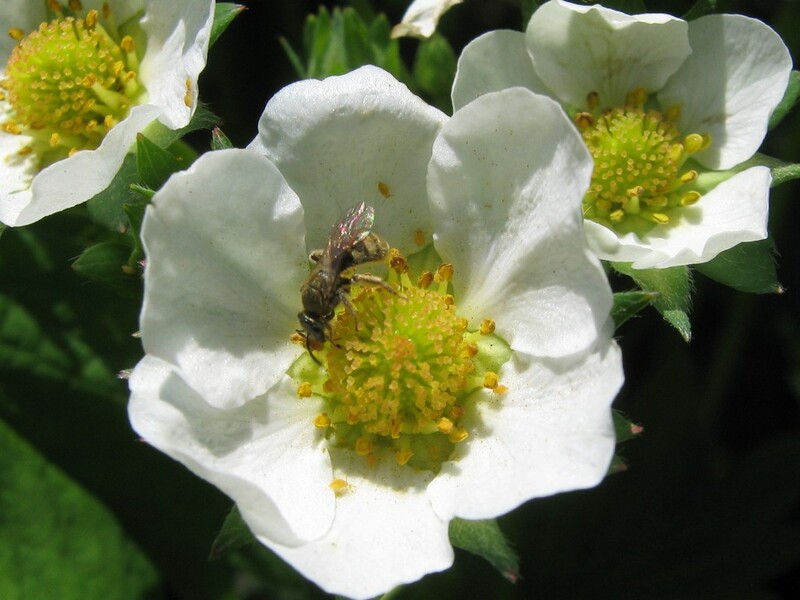 Most ground-nesting bees only come out for a few weeks in the year. But my “Aggies” are busy all summer long, foraging even into the fall. With the honeybee and the bumblebee, they form a trinity of bees tending the flowers.